Disclosed!! The reason why iPhone manages to score in price-sensitive market like India. India has become a sweet spot for Apple which is facing headwinds elsewhere, especially China and Taiwan. A few years ago, India saw little of the frenzy that Apple launches unleashed in many other countries. But come September 12, when Apple is going to launch iPhone 8, India too will be going crazy over the new launch. In just three-four years, India has emerged as an important part of Apple's global business. iPhone did not stand much chance in a price-sensitive market such as India. That's why initially, Apple did not count on India. But slowly Apple has started making inroads. The reason? iPhone has emerged as a primary class marker in India. After car, smartphone is the biggest status symbol, and iPhone leads in that role. A big section of rich Indians has turned into Apple devotees who would upgrade their phone with every launch—not just because of new features but also as an easy and instant marker of their class. iPhone's prospects in India are growing not due to the rich customers but a very large and emerging aspiration class of those who are no-so-rich but have significant disposable income. iPhone's out-of-reach pricing is in fact one of its attractive features for this aspiration class which is growing by the day. That reflects in Apple's zooming sales in India. iPhone sales in India surged more than 50% in the year ended September 2016, when the smartphone maker reported its first annual sales and profit decline in 15 years. Apple shipped a record 2.5 million iPhones in India from October 2015 to September 2016, up 56% on year, according to an estimate by Counterpoint Technology Market Research. In quarter ended March 2017, Apple's revenue grew over 20% in India even as it saw a slump in iPhone sales globally. 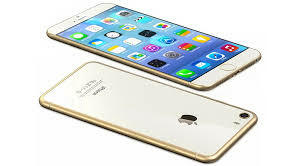 Growing appeal of iPhone in India has made Apple recognize the huge growth potential. Apple has begun to take India seriously. It has offered discounts, buybacks and EMI schemes on all its phones. It has launched a new 'Assembled in India' iPhone SE. "Apple's strategy in India is to sell more phones," Tarun Pathak, senior analyst at Counterpoint Research told ET. "The aspiration factors is higher (in India) than anywhere else." Pathak is right. India's growing aspirational class holds a lot of potential for Apple, which has just a 3% market share in India's smartphone market.